600 pages | 124 B/W Illus. Interferometric observations need snapshots of very high time resolution of the order of (i) frame integration of about 100 Hz or (ii) photon-recording rates of several megahertz (MHz). Detectors play a key role in astronomical observations, and since the explanation of the photoelectric effect by Albert Einstein, the technology has evolved rather fast. The present-day technology has made it possible to develop large-format complementary metal oxide–semiconductor (CMOS) and charge-coupled device (CCD) array mosaics, orthogonal transfer CCDs, electron-multiplication CCDs, electron-avalanche photodiode arrays, and quantum-well infrared (IR) photon detectors. The requirements to develop artifact-free photon shot noise-limited images are higher sensitivity and quantum efficiency, reduced noise that includes dark current, read-out and amplifier noise, smaller point-spread functions, and higher spectral bandwidth. This book aims to address such systems, technologies and design, evaluation and calibration, control electronics, scientific applications, and results. One of the fastest growing applications is signal sensing, especially wavefront sensing for adaptive optics and fringe tracking for interferometry, which is important for long-baseline optical interferometry. The coherence time of the atmosphere is a highly variable parameter. Depending upon the high velocity wind, it varies from <1 ms to 0.1 s. The exposure times are to be selected accordingly, to maximize the signal-to-noise ratio, as well as to freeze the fringe pattern. A large-format photon-counting system, which is an essential tool in the application of optical interferometric imaging, allows accurate photon centroiding and provides the dynamic range needed for measurements of source characteristics. The advent of high-quantum efficiency photon-counting systems vastly increases the sensitivity of high-resolution imaging techniques. Such systems raise the hope of making diffraction-limited images of objects as faint as ~15–16 m_v (visual magnitude). This book deals with the fundamentals of the important aspects of high-resolution imaging, such as electromagnetic radiations, particularly, optical wavelengths and their distortions due to optical elements and Earth’s atmosphere while passing through a detector; semiconductor physics; lasers; fiber optics; photon-detection process; photodetectors; charge-transfer devices; photon-counting devices in visible wavelength; radiation detectors in infrared wavelengths; and detecting systems for high energies. "This unique book describes the current evolution of astronomical instruments in the way of high-resolution observations. The book nicely specifies the special requirements for detectors, which must respond fast for mitigating the degrading effect of the atmospheric turbulence. It should be of interest to professional and amateur astronomers, particularly those who may want to attempt forms of high-resolution observation, some of which are becoming widely accessible." 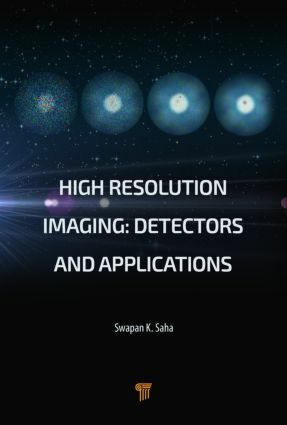 "Prof. Saha has done a splendid job by presenting a succinct description of the principles and applications of radiation detectors used for high-resolution imaging in visible and infrared astronomy. The scope of the book, however, extends to all areas of high-resolution imaging, and the book will be a welcome addition to the library of anyone interested in learning about the state of the art in the field." "In the present volume, Saha has used his expertise in instrumentation and data analysis to expand his horizons to a wider range of high-resolution imaging techniques, essential characteristics of detectors and control electronics, and other wavelength ranges and kinds of astronomical sources. This book will be a valuable resource for astronomers and students involved in the design of modern instrumentation and attempting to take and make use of data with instrumentation that they did not design." Introducing topological insulators: Mind the time reversal. Two-dimensional topological insulators. Two-dimensional topological insulators in quantizing magnetic fields. Three-dimensional topological insulators. Unconventional superconductivity and Majorana fermions in topological insulators. Professor Swapan K. Saha has a strong interest in experimental physics, optical interferometry in particular, and has developed various instruments. He has taught observational astronomy, high-resolution imaging, aperture synthesis, adaptive optics, atmospheric science, and image processing at a couple of premiere institutes in India. Prof. Saha has delivered several invited and plenary talks at various national and international conferences and universities on these topics. Author of a few more books, he is on the editorial boards of the Asian Journal of Physics and the Journal of Optics (Springer) and has edited a book, 21st Century Astrophysics, as well as a special issue of the Asian Journal of Physics on astrophysics in 2004.